Just starting out with succulents, this is a must have! This gift box contains a total of 16 (planted) small 1.5-2" succulents, all beautifully wrapped up in a purple gift box and ribbon of your choice (19 options to choose from!). Great Birthday or garden gift idea! 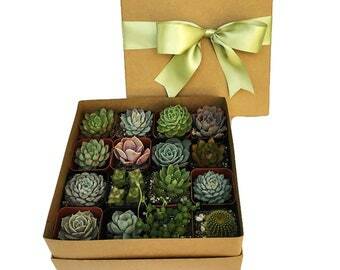 Surprise someone with this beautiful gift box with a variety of succulents. ♥ 16 well established, rooted succulents in 2" nursery pots. 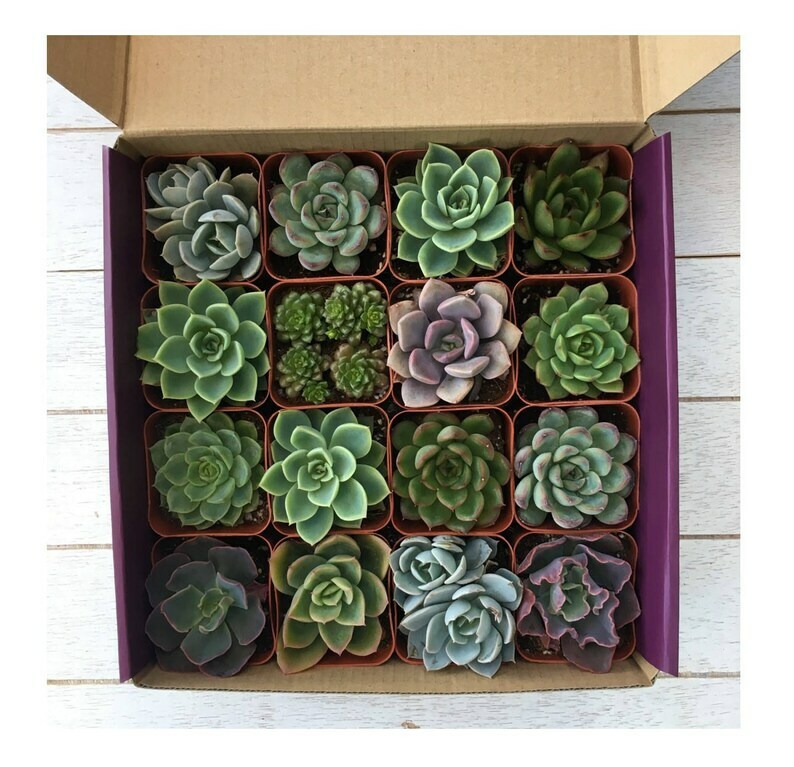 Each box contains a a total of 16 succulents - we make sure to include as much variety as possible - may vary from pictures based on availability but always beautiful. The succulents are placed in a purple gift box (box size is approx 8"x8"x3"). Box is wrapped with ribbon of your choice - see listing pictures for samples. ♥ We can include a small gift card - let us know what to write on the card for you! if no text specified, we will not include a gift card. This was a perfect Christmas gift! It shipped fast and the presentation was beautiful! They were all in tact and healthy! My mother-in-law absolutely loved it! She was even surprised to find some succulents in the box that she has been looking for, for quite sometime! Dont second guess yourself, purchase them now! The succulents in the gift box arrived quickly and in excellent condition. I appreciate the fine service. One month after being planted. They are beautiful and my mom loved them for Mother’s Day!